Before Combat Lini casts goodberry at the start of each day. 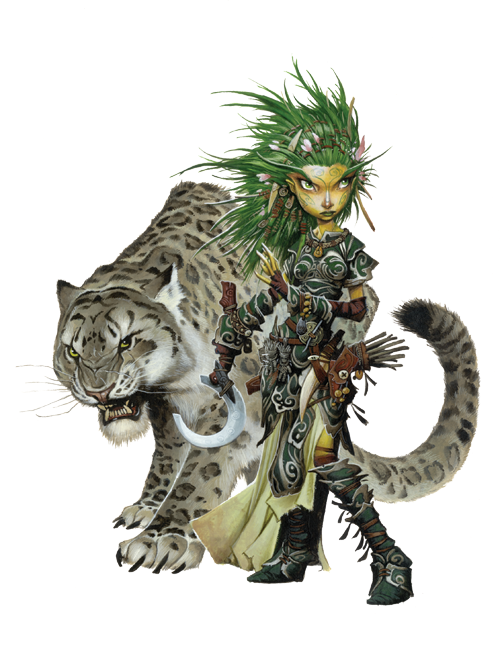 Before combat, she casts barkskin on herself and bull's strength and greater magic fang on her animal companion. During Combat Lini avoids melee, sending in her animal companion. Without barkskin, Lini's statistics are AC 17, touch 13, flat-footed 16.